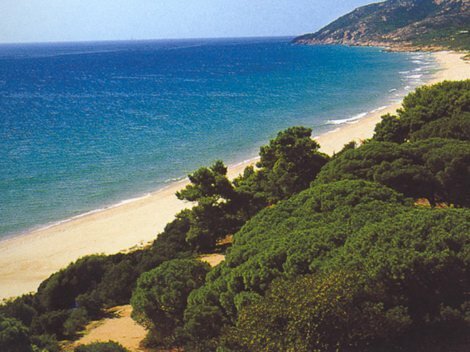 Sardinia is an Island which offers sunblessed beaches crystal clear waters and delicious local cuisine. This is the second largest Island in the Mediterranean after Sicily. Our focus areas are Costa Smeralda, in the north east and Pula and Chia beaches in the south of the island. Pula and South Coast Accommodation The beautiful Sardinian town of Pula sits just inland of the wonderful bathing beach at Nora where there is a Roman archeological site. The climate in Pula is wonderful all year round. 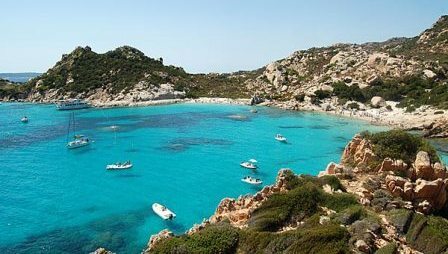 Sardinia’s northern Costa Smeralda is 55 kilometres long and features 80 bays with pinkish white swimming beaches. Many of the idyllic, remote bays are best reached by boat, although of course there are plenty of pristine beaches that are also accessible by car. Costa Paradiso and North Coast Accommodation Sardinia's north coast offers a range of tourism options, of course plenty of beach resorts, but also at its centre the historic town of Castelsardo. You can take boat day trips to explore the isolated beaches and caves or get active with climbing and trekking in this beautiful region. Costa Paradiso, a huge 800-hectare estate of maquis and typically Mediterranean rocky terrain where little housing estates with swimming pools and apartments built on the flanks of the hillsides are to be found side by side. A lovely 4 star hotel with beautiful gardens and a large feature swimming pool. A great location between town and beach. self-catering residence offers a perfect blend of modern convenience and traditional style and hospitality. Ideal for a family holiday or a romantic break. The seaside resort « Costa Rei » spreads over the south-east of the island of Sardinia, 70 km from Cagliari and 15 km from the village of Villasimius, Sardinia's answer to St Tropez !! Costa Rei offers you one of the most beautiful beaches on the island : a white sandy beach, 8 km long. A combination of clear blue water and unspoilt nature together help to make for a dream holiday. The residence is situated amidst the greenery of a huge park. Access to the little sandy creeks is by means of a footpath, departing from the centre of the residence.